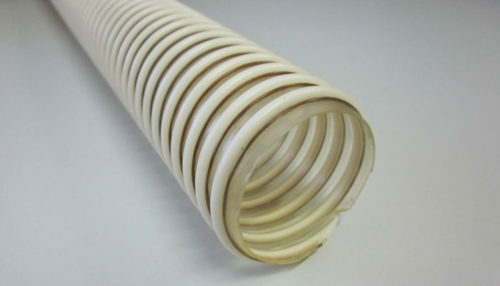 Flexible hoses for suction and passage of air, fumes, shavings, dusts, textile filaments and other abrasive materials. 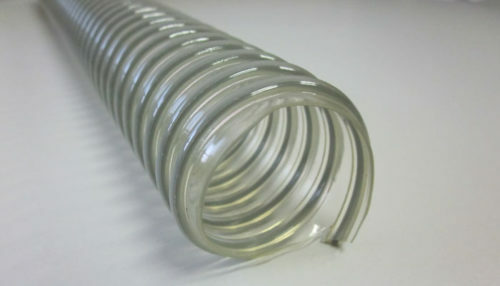 Available in PVC, POLYURETHANE, STEEL, GLASS FIBRE AND SILICONE, with spiral reinforcing in PVC and steel or copper braiding for anti-static applications. 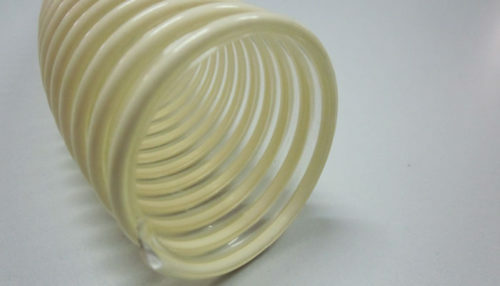 For each flexible hose there is a rubber or silicone hose cuff available for optimum connections. 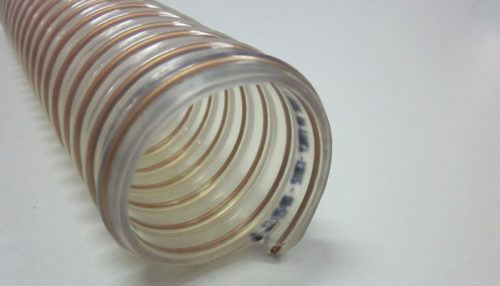 Spiralled EVA hose, not reinforced, for removal of air, dusts, welding and gas fumes. Temps. up to 60°C, anti-static version available. Range of diameters 25-80 mm. Hose in interwoven glass fibre and silicone, length 4 m. Temps. up to 250-300°C. 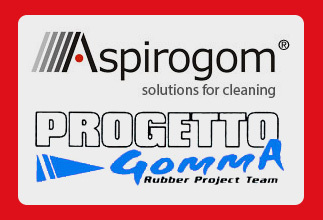 Removal of very hot vapours and gases in the paper, plastics and automotive industry. Range of diameters 19-305 mm. 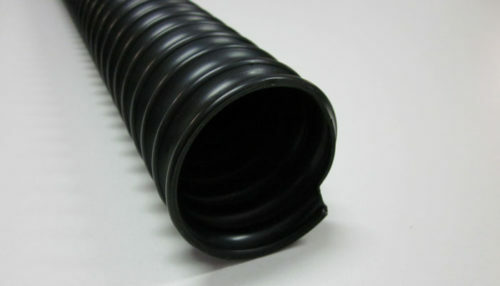 Polyurethane hose reinforced with PVC, internally smooth, light, flexible. Foodstuffs compliant with EU Reg. 10/2011. Temps. up to 80°C. Range of diameters 20-300 mm. 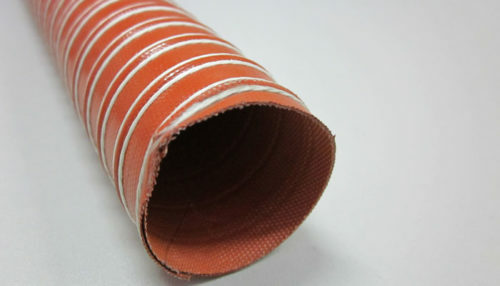 Polyurethane polyester anti-static hose with PVC spiral and copper braiding. For removal of dry foodstuffs and abrasive materials. Temps. up to 85°C. Range of diameters 25-200 mm. 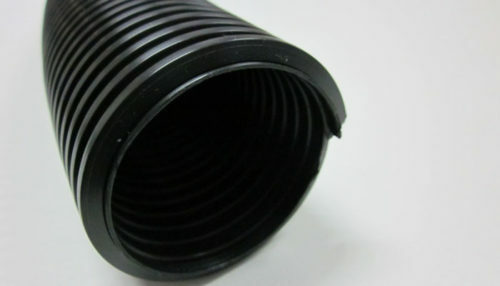 Polyurethane hose with steel spiral, highly resistant to abrasion and mineral oils, non-flammable. Removal of granules, shavings. Compliant with RoHS directive. Temps. up to 90°C. Range of diameters 38-305 mm. Polyurethane hose with zinc-plated steel spiral, suction and passage of dusts, shavings and abrasive material. Temps. up to 90°C. Range of diameters 38-300 mm. 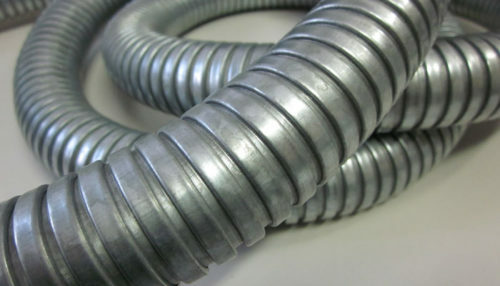 Flexible zinc-plated steel hose. Removal of incandescent materials. Diameters on request. 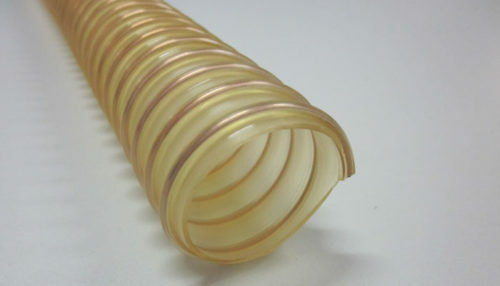 Electrically conductive polyurethane hose, copper-plated steel spiral, for removal of granular materials and liquids. Temps. up to 90°C. Range of diameters 40-100 mm.